​Chef Dan is a graduate of the Culinary Institute of America in Hyde Park, NY. Dan has worked as Executive Chef for The Warwick International Hotel in NYC, Adams Mark Hotels, The Boca Raton Hotel & Club as well as Chicago Prime at the Pennsauken CC. He was most recently the head Chef for 17 years of Ritz Seafood of Voorhees, NJ. Being of Belgian & Danish ancestry Dan used his passed down for generations family recipe of traditional Liège waffle, a dough-based waffle recipe originating in the town of Liège, Belgium. From the very first bite as a kid, Dan was obsessed! A few years later, as a teenager he received a traditional cast iron Belgian waffle iron from his mother for his birthday, similar to the one he uses today. So began his insatiable desire to make the perfect waffle. Having family of Belgian descent made this obsession even more important. ​He was so excited to share his fun creations with everyone. 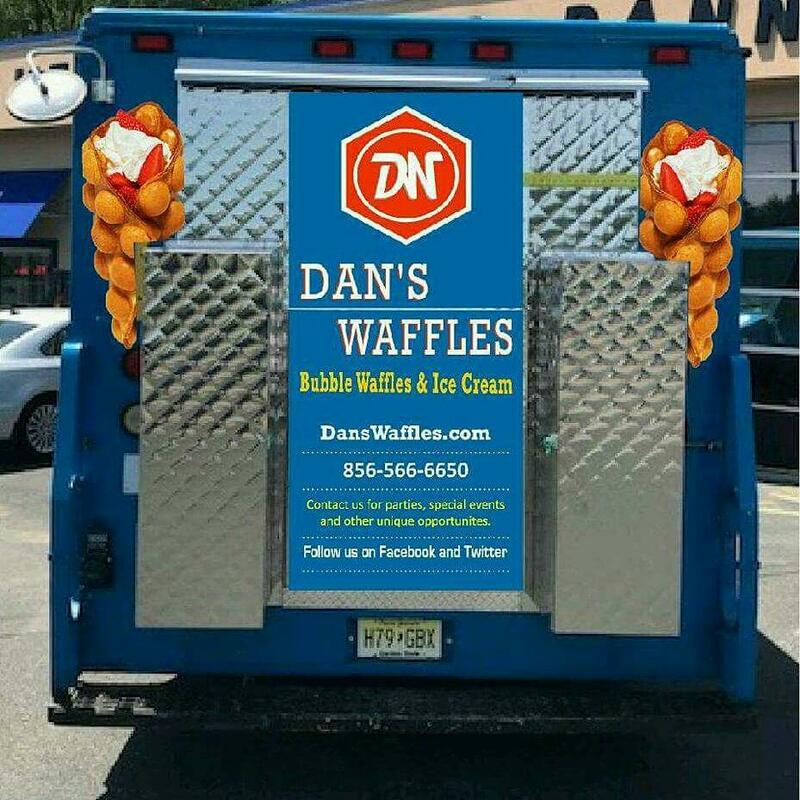 Relatives at family functions, friends at get-togethers, co-workers, even his dentist and mail carrier were all on the receiving end of Dan’s scrumptious waffles. His intentions were never to sell them, simply to share them with as many people as possible. But soon after, people began requesting the waffles for various functions of their own which lead to countless people wanting to know where they could get them. Soon, “Have you had Dan’s waffles?” became a familiar phrase heard around town. Dan saw that this was his chance at a future business one day. In 2008 when visiting his fiancé in Hong Kong. Dan fell in love with the popular street food known as Hong Kong egg waffles called Gai Dan Jai which translates to "little eggs" in Chinese. Unlike the traditional waffle, Hong Kong egg waffles use a sweet egg based batter to create a crispy exterior and a soft and cake like interior. The entire month that Dan was there, he had at least one everyday, He just knew that he had to somehow bring the magic of Hong Kong back to South Jersey & Philly. He ordered special waffle irons from China and when they finally arrived he began to create the mobile food business that he had always wanted. 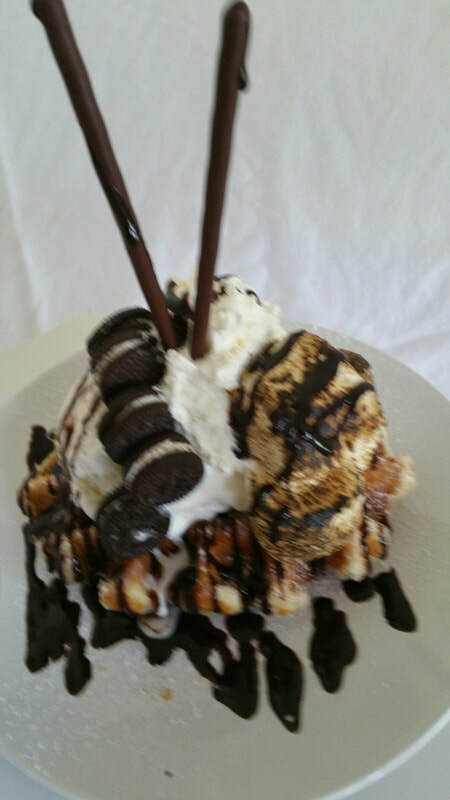 By combining the different waffles with ice cream and unlimited toppings thus truly making a one of a kind creation for all to enjoy! 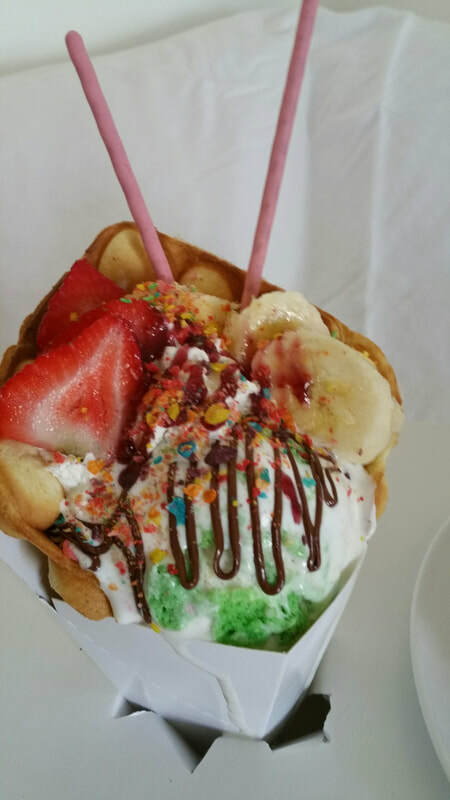 Dan's Waffles was created in 2016 with the mission to bring unique eats and sweets to the Tri State area with a bit of East-West flavor. 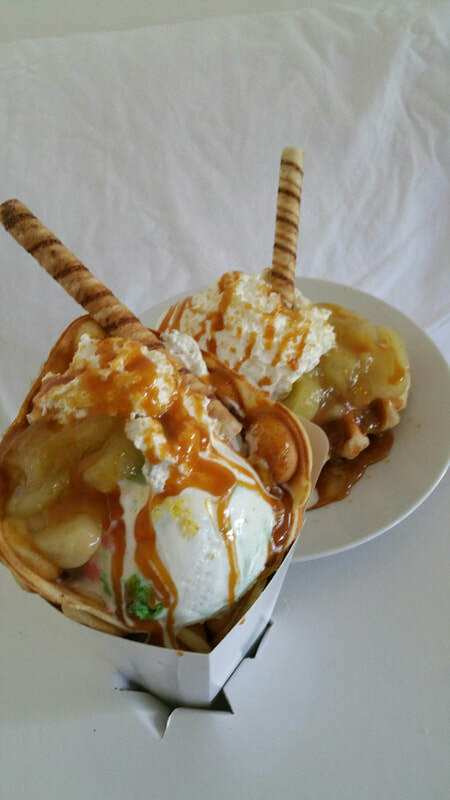 The menu was crafted to bring a variety of artfully built combos of Belgian Sugar waffles & Hong Kong’s infamous street snack (the bubble waffle) with local artisan ice cream and modern take on popular dessert favorites: affogato and the milkshake. In the fall and winter months such foods as BBQ pulled pork & waffle, as well as this area's own Chicken & waffles will be added to our menu. 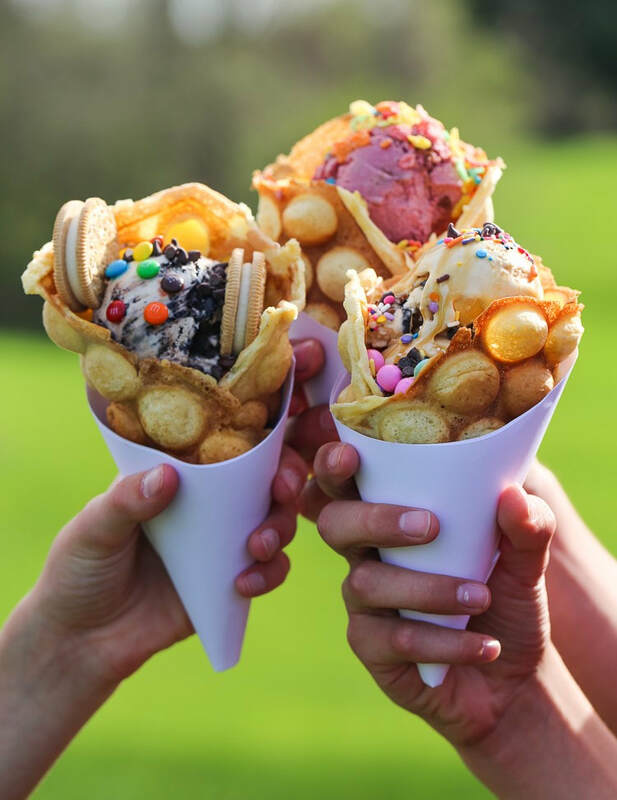 Waffles and ice cream have the ability to transport us to a time where everything was right in the world. 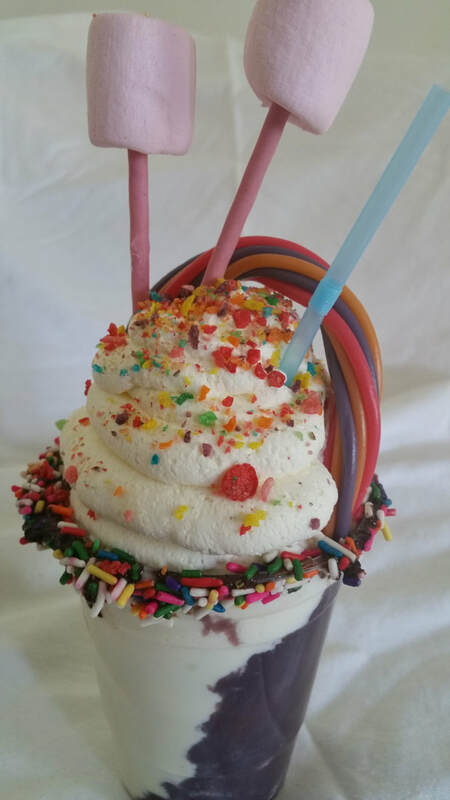 We provide a unique experience to all of our customers by combining a variety of ingredients to create a product that is truly made to order. 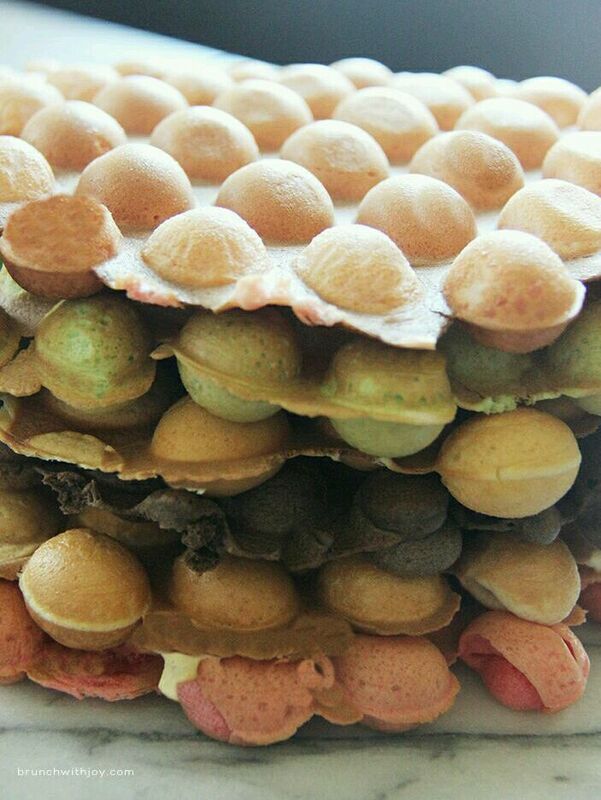 ​Our signature waffle is a Hong Kong street snack called Gai Dan Jai, which translates into "little eggs" in Chinese. Unlike the traditional waffle, Hong Kong waffles use an egg based batter and a special hexagon iron that produces 30 individual spherical units which resembles the shape of "bubble wrap" and can be torn and eaten individually. Our waffles have a crispy exterior and a soft and cakelike interior. 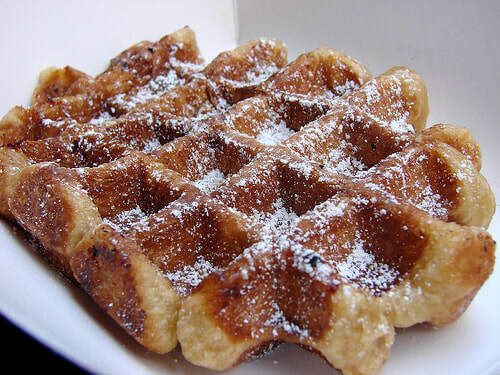 We also offer a Belgian Liege Sugar Waffle. ​Not a batter poured waffle but a unique yeast dough recipe that is similar to those of Liege, Belgium. Dan has created a special waffle that has a crisp Caramel crunch on the outside and a slightly chewy, vanilla infused inside. It's a must try with Dan's favorite toppings of Dulche de Leche spread, Sea Salt, Caramel & fresh Bourbon Whipped Cream! All by themselves, Dan’s Waffles are an extraordinary culinary experience. He started his waffles with both a traditional Hong Kong Bubble waffle and a Liège recipe and took creative liberties with it over time. 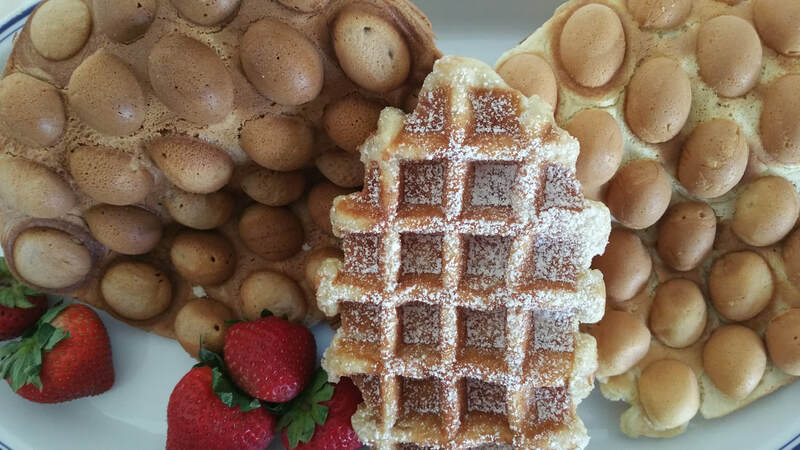 From the visibly large granules of imported, Swedish pearl sugar that give Dan's Belgian Sugar Waffles their caramelized crunch, And the unique flavor options of his Bubble waffles down to the inclusion of his own, homemade, vanilla extract which adds to the depth of flavor and soft goodness, Both Dan’s Bubble waffles and Belgian Sugar waffles are truly spectacular. 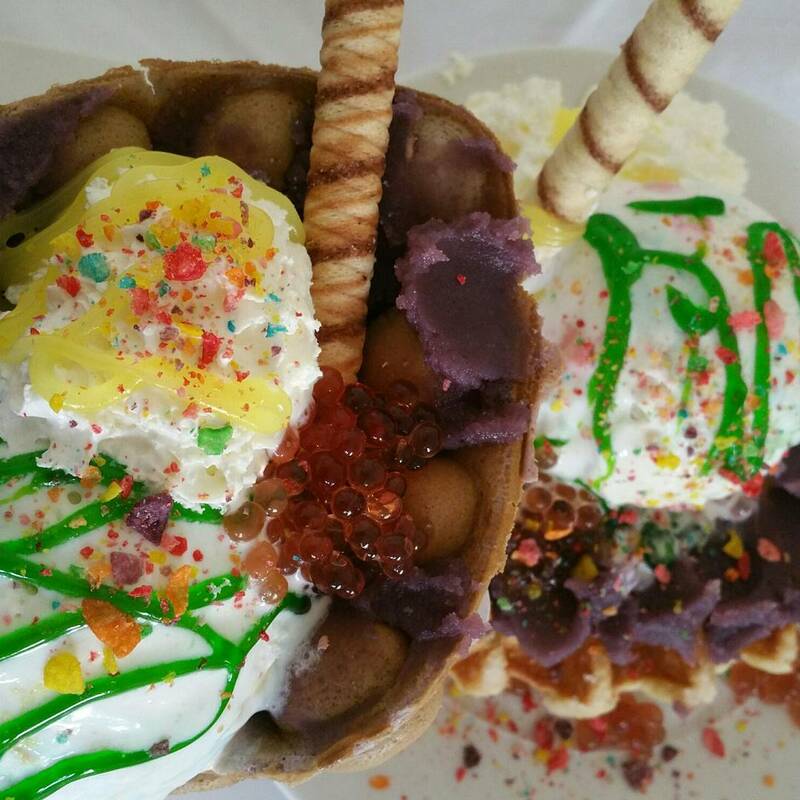 Dan’s ideas for scrumptious toppings and flavors to accompany his waffles are endless. 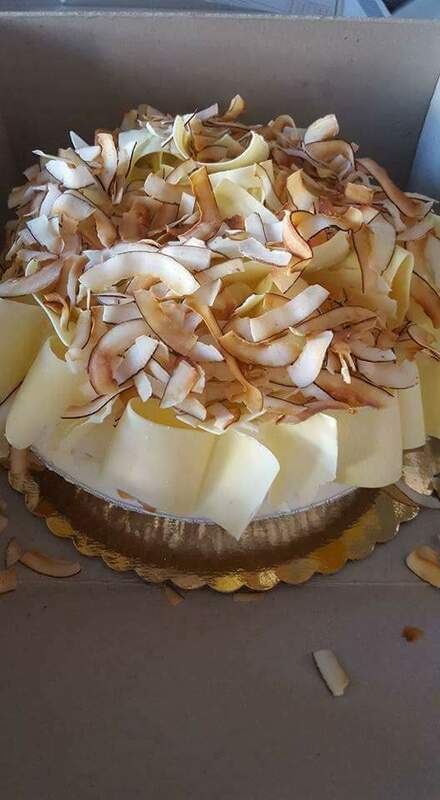 We offer a wide variety of options to suit your sweet tooth, priding ourselves on seasonal specialties, in addition to our customers' year-round favorites. Our whipped creams are always made from scratch in-house. And with a strong belief in supporting local companies, we try to source from and credit local, fresh fruit growers whenever possible. 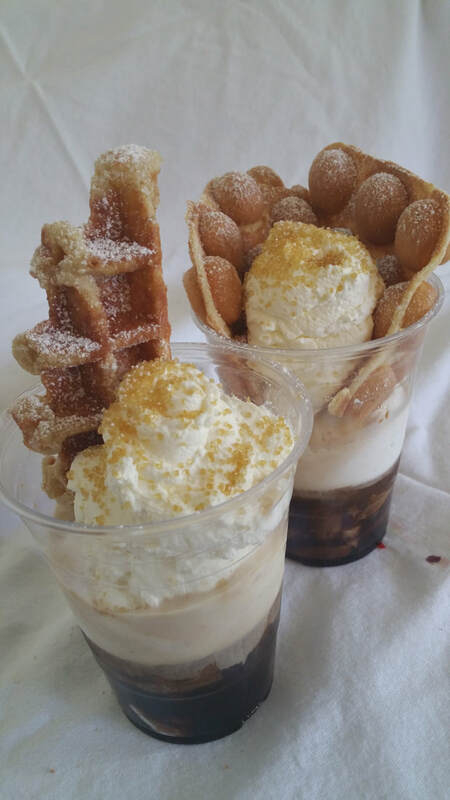 At public events, the truck usually serves Dan's Original Waffles with ice cream or with whipped cream and a selection of 3–4 other specialty toppings, like some of the examples below. For private events, a limited menu is chosen together with the client. as well as private events like weddings, graduations, birthdays, and various corporate functions (with or without service straight from the truck). We welcome all kinds of bookings, both public and private. number of guests we’ll be serving and we’ll get back to you within 48 hours to discuss menu options and prices. Bookings are confirmed on a first-come, first-served basis. 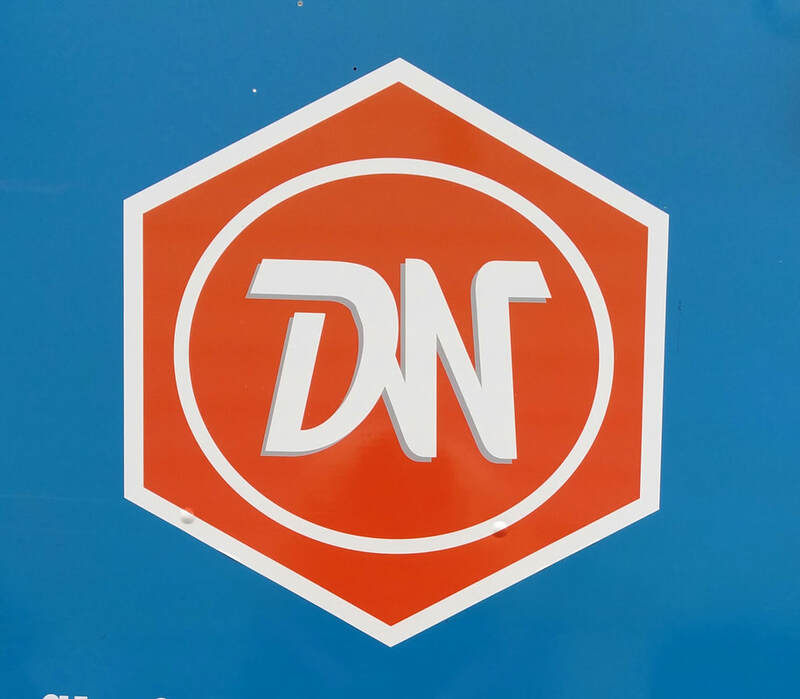 While our schedule fills most quickly for weekends, we are available for hire during the week all hours of the day, except for Mondays, which we try to set aside for a day off. *Please note: dates for private events are considered reserved when a signed contract and the deposit are received by our office. 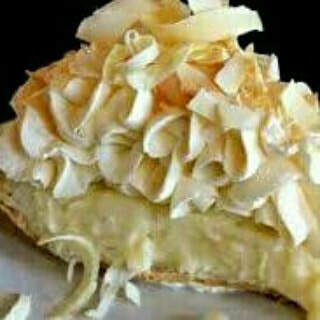 Our menu is very flexible and can be customized to fit all your event needs. Private catering for a business breakfast meeting? Launch party for a new business? will be sure to please your guests! *School Events such as graduation parties, dances, socials, etc. Upon receipt of your request, we’ll get back to you within 48 hours with a cost estimate and additional details for your reference.